Just so we’re clear, this isn’t a story about the legendary New England quarterback’s stats. At this point, mentioning Tom Brady’s remarkable accomplishments with the Patriots — eight Super Bowl appearances, five Super Bowl championships, four Super Bowl MVP awards, 500 touchdown passes and more than 67,000 passing yards — is overstating the obvious, and by this point, irrelevant. It’s also not about the recently-revealed tension between him and the only NFL head coach he’s ever known, Bill Belichick. A new book recently released by ESPN’s Ian O’Connor titled, Belichick: The Making of the Greatest Football Coach of All Time, reports that Brady’s camp has long felt Belichick would eventually get rid of his star QB before he was ready to retire, in the same fashion the Indianapolis Colts did Peyton Manning. But that sentiment became null when Belichick shipped rising-star backup Jimmy Garoppolo to the 49ers last season, essentially doubling down on Brady for the long haul. 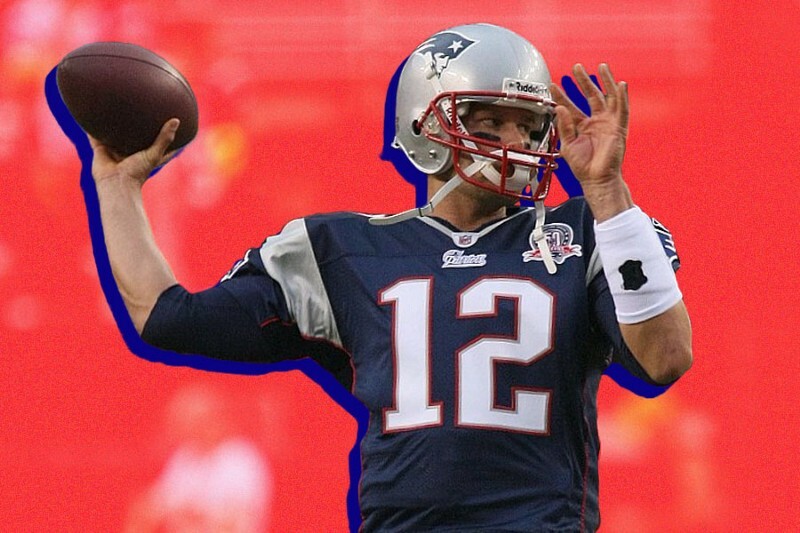 The question, then, is how much longer will Brady play — and more importantly, how? Now at 41, can he really keep his engine primed into his mid-40s and beyond, as he’s so publicly stated? Well, he’s Tom Brady, so it’s definitely possible. But sports experts say it’s also highly improbable. To McIntyre’s point, Brady’s dedication to protecting his physical and mental health is something few quarterback’s have done better. Except for the 15 weeks he missed during the 2008 season for a torn ACL (there’s no playing through a busted knee), Brady has never missed a game due to injury, despite landing on the injury report nearly 200 times. That includes never officially suffering a reported concussion, despite what his wife Gisele Bündchen toldCBS This Morning last year. By Brady’s own admission, playing well into his 40s without a career-halting injury isn’t easy. “Any one game could be the end,” he said in August. New “Protection of the Quarterbacks” Rules. For the 2018 season, the NFL Competition Committee implemented several new rules with emphasis on players’ protection. One of the most notable rules (and certainly the most controversial) is protection for quarterbacks during hits. The committee determined that in many instances, pass rushers were using all or part of their body weight to land on the QB immediately after the ball was thrown. They deemed that such action put the quarterback at risk of injury, and ruled that defenders will now be called for roughing the passer if they land directly on top of the quarterback when taking him to the ground. This rule seems tailor-made to extend Brady’s longevity, right? Either way, his career gets a considerable boost from this one. High-Tech Sports Medicine. The healthier you are, the longer you can play. Brett Favre sustained far more injuries during his 20-year NFL quarterback career, and he played until he was 41. Doug Flutie lasted to 43; Warren Moon stuck it out to 44; and quarterback George Blanda played until the ripe old age of 48 (admittedly mostly as a backup in the last few years). But the aforementioned quarterbacks lacked something Brady has readily available to him: Advancements in sports medicine. Peyton Manning reportedly utilized stem-cell research in Europe back in 2011 after having neck surgery. In 2013, former Ravens linebacker Ray Lewis allegedly used IGF-1-rich deer antler spray to help heal his torn triceps faster. There’s also Orthokine and PRP (platelet-rich plasma) treatments, where blood is drawn from the athlete to extract special growth factors from the blood’s platelets, then injected directly into the site of the injury, which triggers stem cells to synthesize new tissue and heal the injured area. Regardless, though, of new rules and advanced sports medicine, experts still feel it’s doubtful Brady will play several more years in the league. McIntyre adds that 20 seasons is a long time to play in the NFL, and despite Brady’s proclaimed love for the game until the wheels fall off, the realization of his time to leave will soon set in — i.e., the sport will get to his mind before it gets to his body.